April 5th 2015 - Style Magazine - Graphic Arts - The purity of strong, streamlined graphics has swept the beauty world, from Sisley's chic chequerboard to Verso's Scando style. The rawness of clay, the spa sensibilty of body oils and the delicacy of Diptyque fragrance become bold and beautiful in black and white. #5 DnA Elements French White Cleanse Clay Facial Mask. March 29th 2015 - Style Magazine - Nature v Science - Handcrafted, 100% organic clay replaces water as the main ingredient in many masks - power in a bottle. DnA Elements French Red Clay Facial Mask. March 24th 2015 - The Carousel - Go Green: Our Favourite Green Tea Products - Rich in antioxidants and anti-inflammatory properties, green tea works wonders when it comes to preventing collagen breakdown and reducing UV damage to skin. DnA Elements Green Tea Antioxidant Clay Facial Mask. March 23rd 2015 - Peach Macarons - I recently tried some products from DnA Elements which I loved and they are now part of my beauty ritual. Their products are all natural and no chemical nasties – which is a must for me. Their Organic Firming Eye Gel is light and soothing. Since using it I’ve felt like the condition of my skin under my eyes has really improved – more hydrated and less puffy. And their Organic Silica Face Mask is also fabulous. You take a small amount of the Silica Face Mask powder combined with cooled green tea to make into a paste. It’s great for drawing out toxins and impurities out of the skin. It leaves my skin feeling like it’s had a really deep (yet gentle) clean. I also enjoyed running around the house chasing my kids as the ‘mummy monster’ with my face mask on. They thought I looked very strange! February 1st 2015 - The Cut & Paste - This has become part of my weekly beauty routine – a Sunday night Silica face mask, using this wonderful DnA Elements product. 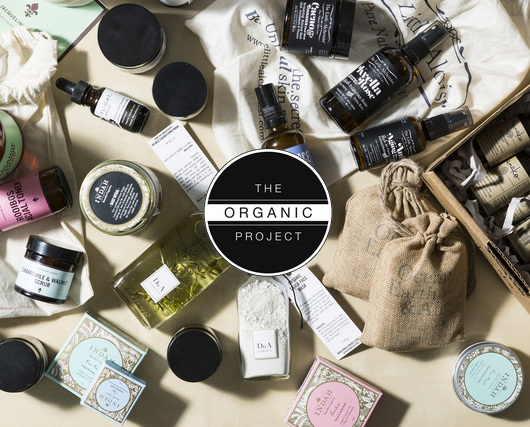 Retailing for $30, it’s the Australian beauty brand’s best-seller, and is sourced from 100% certified organic silica. By Lauren Brain. September 4th 2013 - Our complete range of organic products have uses other than creating beautiful healthy skin, such as our Lavender Mist Spray which featured on Channel 7 News tonight. Lavender contains a natural antihistamine property which can be used on its own or in conjunction with other remedies to combat hay fever symptoms.